Join Special Olympics Illinois and Karen Wilson, CEO of MAKE Corporation, for the Inspire Greatness Gala to benefit the athletes of Special Olympics Illinois. The 2015 Inspire Greatness Gala takes place at the Four Seasons Chicago on Oct. 24 and promises to be an exciting evening of dinner, dancing and a spectacular live and silent auction. Guests will have an opportunity to hear from Kelli Ewbank, the featured Special Olympics Illinois athlete of the evening. 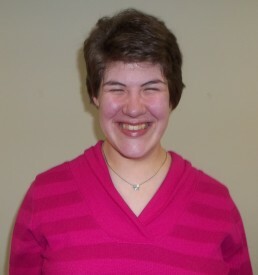 Kelli enjoys the social component of Special Olympics as well as the competition – some of her favorite memories involve her friends and teammates. Her parents, Kevin and Kimbra Ewbank, are both very supportive of the program. Kevin doubles as Kelli’s swim coach and Kimbra is her biggest cheerleader. Throughout her life, Kelli has overcome both physical and intellectual disabilities to achieve incredible things. Her biggest accomplishment with the program to date has been her success in the pool at the Special Olympics Illinois Summer Games. This summer she swam lightning fast to win gold in the 100-meter freestyle race. In addition, we will be honoring Pat Hemingway Hall, CEO of Health Care Service Corporation, as the recipient of the Champions Award for Impact on Special Olympics Athletes. Cocktails will be served at 6 p.m., with dinner to follow at 7 p.m. Our emcee will be Rob Johnson of CBS2 Chicago and music will be provided by the City Lights Orchestra. Register online at www.inspiregreatnessgala.org. For sponsor information, contact Denise Samulis at 331-444-8186. For additional information, contact Shelley Chenoweth at 630-331-5619.